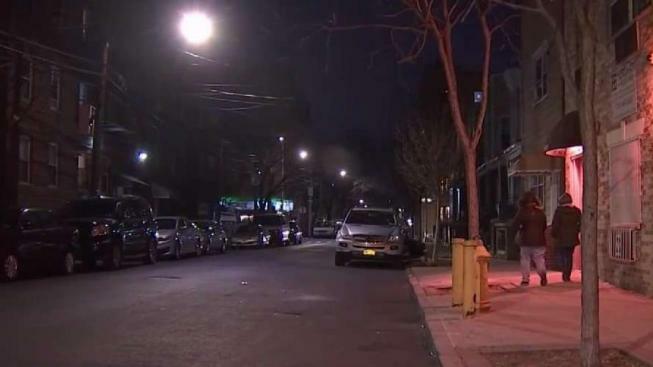 Police in the Bronx posed as the family of a mechanic who was being kidnapped at gunpoint and held for ransom to get him back home safely after a terrifying 17-hour ordeal, officials and a law enforcement source say. The driver, Juiliano Marcelino, 31, pulled up to the 28-year-old mechanic on Cambreleng Ave. in Belmont around 11:25 p.m. on Tuesday and lured him into the vehicle by telling him he could sell him a car, the NYPD said. When the mechanic got into the Honda Accord for a test drive, Marcelino pointed a gun at him and kidnapped him, a law enforcement source said. At some point during the alleged kidnapping, the mechanic’s brother got a call demanding $2,500 for his release, the NYPD said. The brother told News 4 Marcelino had a knife and pepper spray inside the car, in addition to two guns. "My brother told me he was doing crazy drugs in the car," he said. "They got into two accidents." "He said he wants $2,500. Throw it out the window, he'll pick it up, and then he's gonna drop off my brother," he recalled. Major Case Squad detectives were able to track Marcelino down to a location on Southern Boulevard around 4:15 p.m. on Wednesday after one of the detectives posed as the victim's brother. When Marcelino was confronted, he made a motion like he was drawing a gun out of his waistband and took off running, police and the law enforcement source said. Detectives chased him down on foot and arrested him, the source said. Police found a gun in his waistband, according to the source. Police said Marcelino struck the mechanic with his gun at some point during the kidnapping, but the mechanic wasn’t taken to the hospital. Marcelino was under the influence when he was arrested, and the Honda Accord he'd been driving was stolen, according to police and the law enforcement source. He faces charges including robbery, grand larceny auto, resisting arrest, obstructing government administration, assault, criminal mischief, criminal possession of a weapon and kidnapping, police said.